to its TV broadcast of the event, which was a decrease from the previous year. 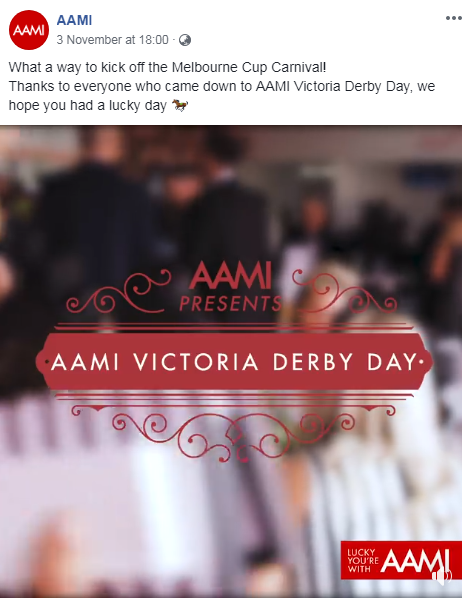 However, there was an increase in digital audience with 850,000 people watching it on Seven's Horse Racing Facebook page and half a million viewers recorded across Facebook and Twitter. In 2019 Network Ten will broadcast the event following a $100 million deal. However, not everyone was feeling the love as interest in the event seems to be waning. 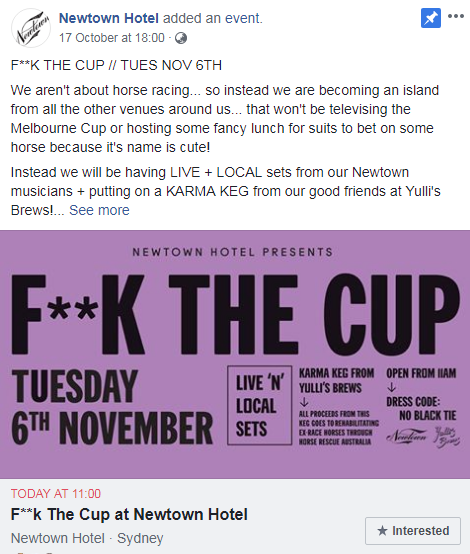 Newtown Hotel decided to snub the event and host its own with no Melbourne Cup content to be shown. People on Twitter shared their disinterest in the Melbourne Cup. What do you think, should we continue to celebrate the event or are its days numbered? Melbourne Cup is back again and we're taking a look at who is doing what. From gambling companies to dating apps plenty are taking part in the celebrations. 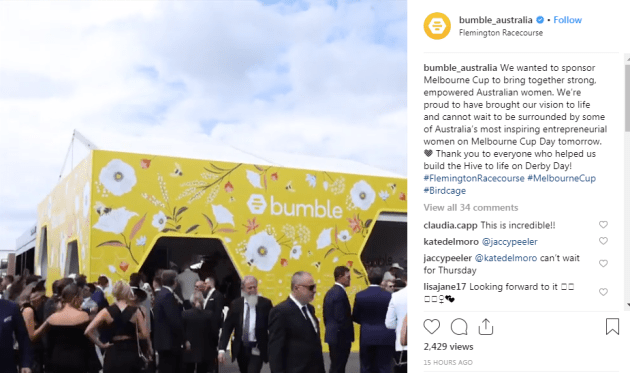 Snapchat is back with themed lenses sponsored by gambling company Neds and while Twitter doesn't share a price list, industry sources suggest TAB would have paid around the $15,000 mark for the sponsorship of the #MelbourneCup hashtag. Ooh!Media will allow passengers caught mid-air during the race to watch it on their devices as part of a campaign by sponsor Lexus. Passengers will be able to stream the $7.3 million race from their laptop, tablet and mobile phone. In addition the race will also be displayed on Ooh screens in Qantas Clubs and some lounges and baggage carousels. 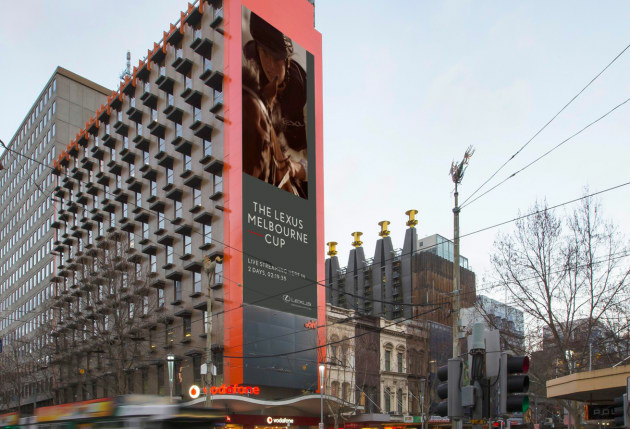 It will also be shown on Australia’s largest full motion digital billboard - The Bourke on Bourke Street Mall. Last year Seven attracted 2.7 million people to its TV broadcast of the event, which was a decrease from the previous year. 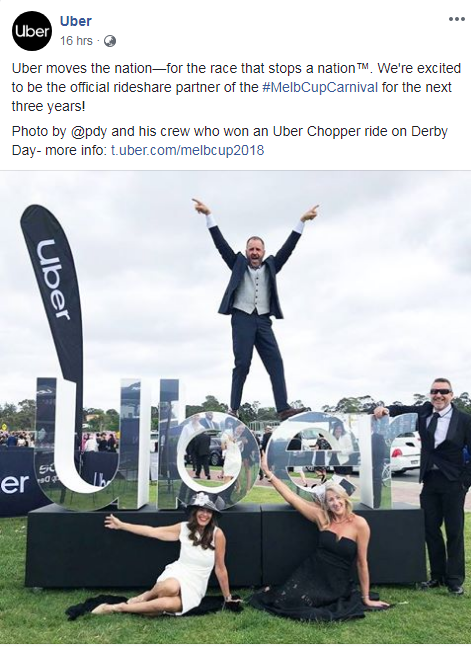 However, there was an increase in digital audience with 850,000 people watching it on Seven's Horse Racing Facebook page and half a million viewers recorded across Facebook and Twitter. 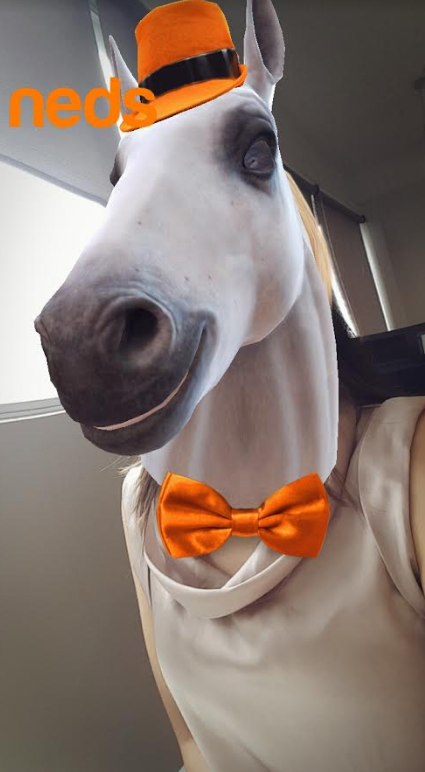 Get your #MelbourneCup tip straight from the horses mouth.